July Flux Thursday: July 10! FREE! But please bring something delicious to share! 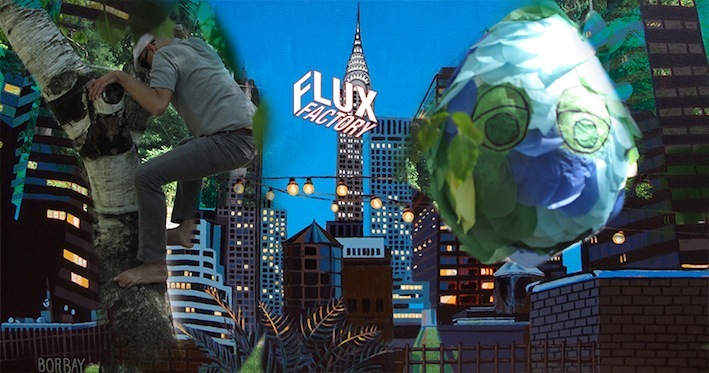 Join us for Flux Thursday, our monthly potluck dinner and art salon. This month features a set of short presentations by Flux’s new ED Nat Roe, Flux Artists-in-Residence Misha Rabinovich, Caitlin Foley, and Danny Crump, followed by the ritualistic sacrifice of a Fluxer-made, musically prepared piñata. 2014 Not-So-Silent Auction RAFFLE PRIZES! We've put together two mega-raffle prizes to offer during the upcoming Not-So-Silent Auction, with cool schwag from our friends. You can purchase raffle tickets at the Flux Me Like Whoa and Flux Me Like a Hurricane tiers, or for $10 each at the event.